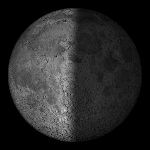 The Moon is Waning Gibbous (84% of Full). New moon in NetHack in 9 days. 2018/05/15 - The server got an OS upgrade, and some long-needed AWS migrations done. 2018/04/28 - NetHack 3.6.1 is out! It is now playable, and the web site is being updated piece by piece. 2015/12/07 - NetHack 3.6.0 has been released. 2015/08/15 - Implemented NAO Web Player using hterm and kerio's wstty. To play NetHack on this server, just telnet to alt.org (on normal port 23 or port 14321) or ssh to nethack@alt.org. Consider putty on Windows. Find many of us in #nethack on irc.freenode.org. (latest chatter) Our friendly bot Rodney announces all the embarrassing details of player deaths (and player achievements) for NetHack 3.6.0 in channel. There are currently two versions of the game you can play on the server: stock NetHack 3.6.0, and NetHack 3.4.3 with a few patches. dgamelaunch, the game launcher, will ask you for a login and password, and also allows registration and editing of custom options files. Every game is recorded, and available for live viewing by all. As of August 2015, this server is a virtual machine existing as an Amazon EC2 c4.large instance in the us-east-1c zone.